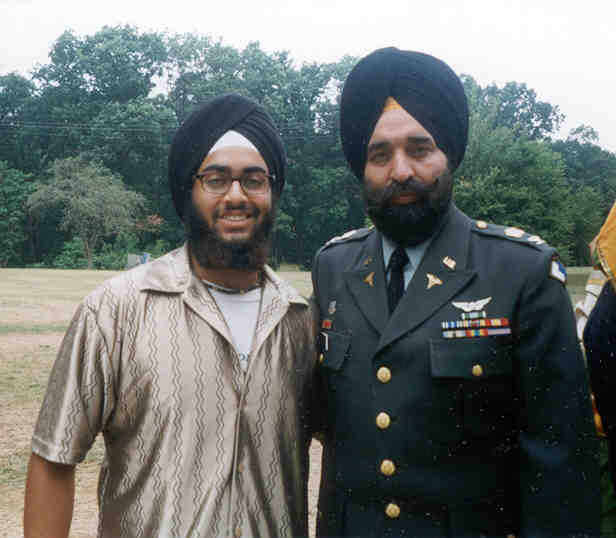 Colonel Sekhon, One of Two Practicing Sikhs in the United States (US) Armed Forces. Jas Jit Singh (left) met Colonel Sekhon (right) at Logarh. "He is one of only two full Sikh colonels in the United States Army. This guy exudes strength and dignity." Picture ©Jas Jit Singh, used with Permission.